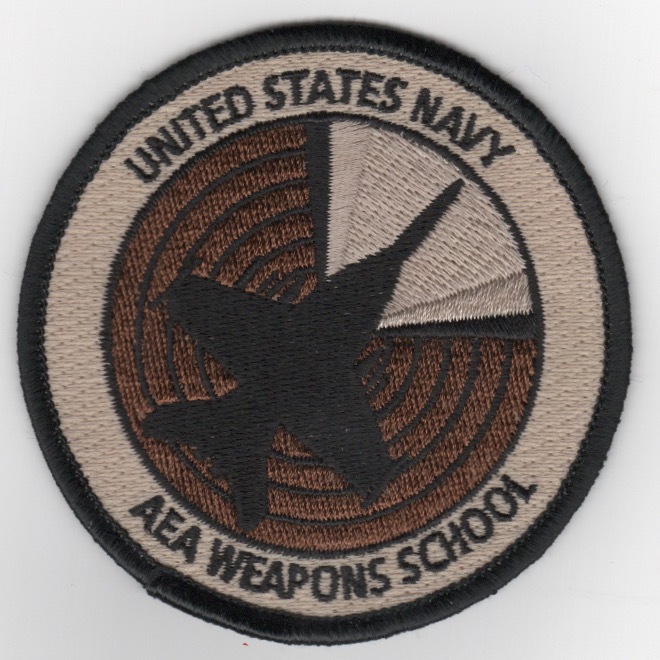 This is the squadron patch for the Naval Weapons Test Squadron out of NAS Point Mugu, CA. They fly multiple aircraft there for a variety of tests. 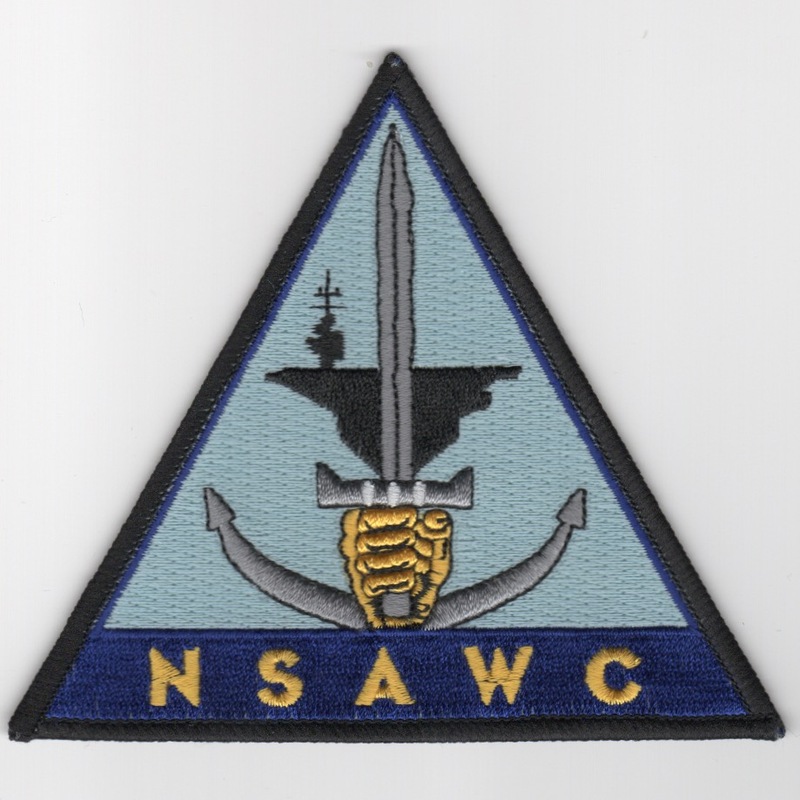 This is the triangular version of the squadron patch for the Naval Strike and Air Warfare Center (NSAWC) located at NAS Fallon, NV. This patch does not come with velcro attached. 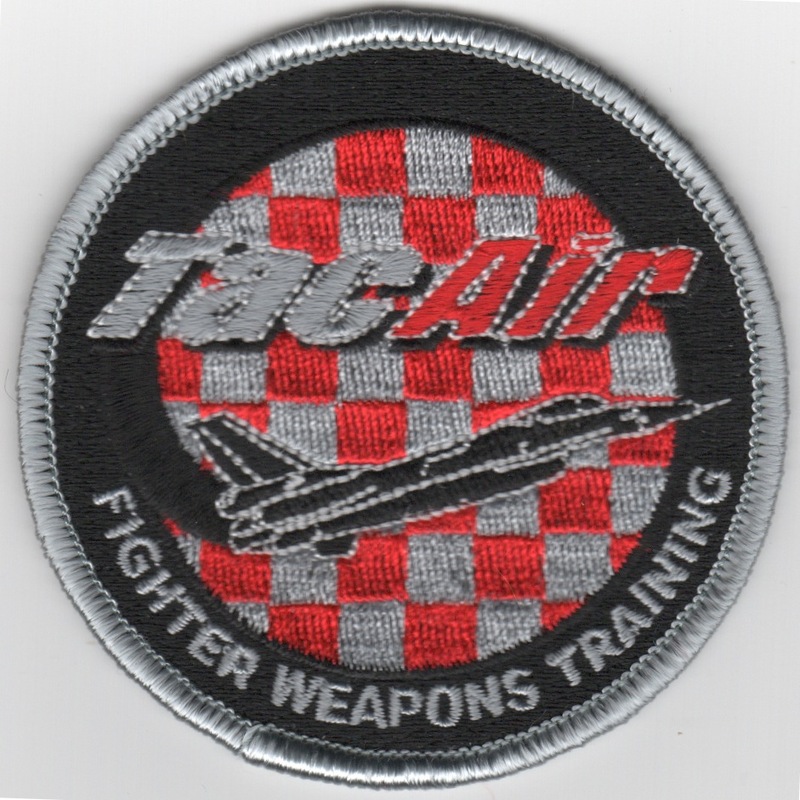 This is the F-16N "TACAIR" patch for the Naval Strike and Air Warfare Center (NSAWC) at NAS Fallon, NV. 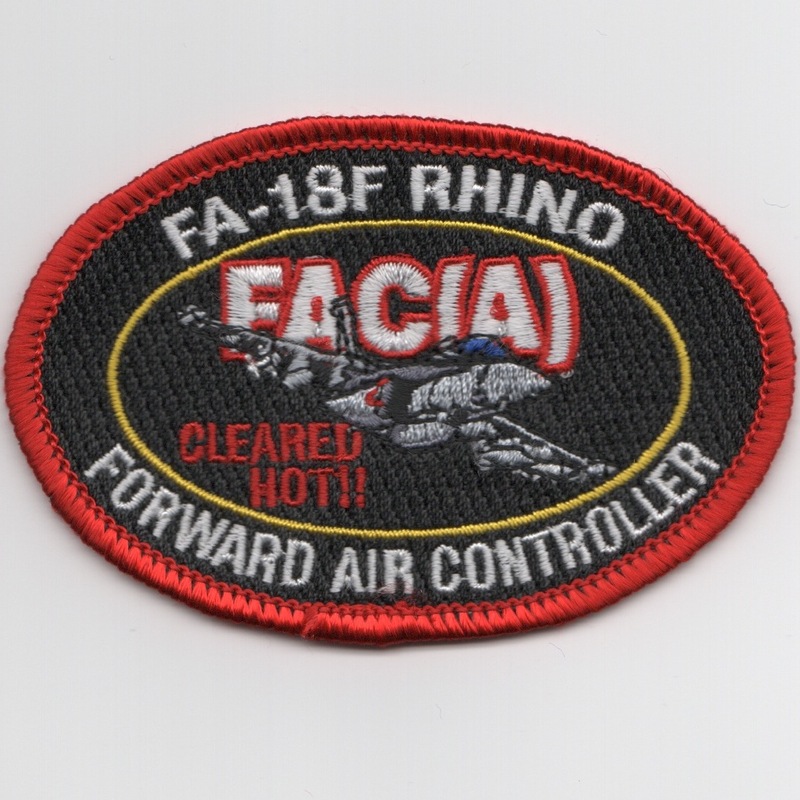 This patch says "FIGHTER WEAPONS TRAINING" along the bottom and "TACAIR" along the top. This patch does not come with velcro attached. 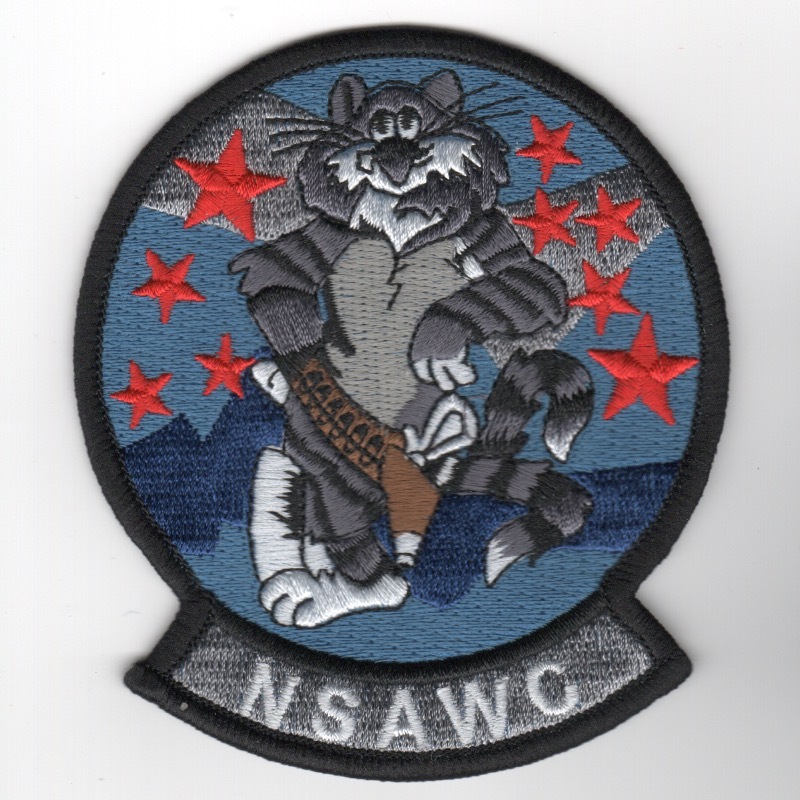 This is the Naval Strike Air Warfare Center's felix patch, created just for them. The Naval Strike and Air Warfare Center (NSAWC) at Naval Air Station Fallon is the center of excellence for naval aviation training and tactics development. NSAWC provides service to aircrews, squadrons and air wings throughout the United States Navy through flight training, academic instructional classes, and direct operational and intelligence support. The command consists of more than 130 officers, 250 enlisted and 500 contract personnel. NSAWC flies and maintains F/A-18 Hornets, F-14 Tomcats and SH-60F Seahawk helicopters. This patch does not come with velcro attached. 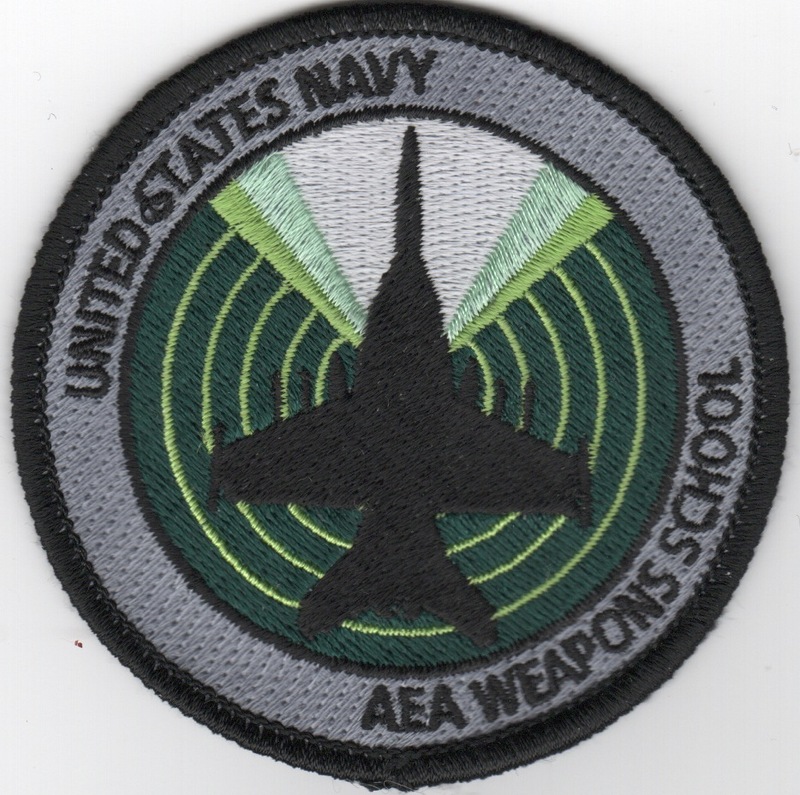 This is the F/A-18 Hornet aircraft patch for the Naval Strike and Air Warfare Center (NSAWC). This is for the Strike Aircraft Test division located at NAS Fallon, NV. Naval Air Warfare Centers are research organizations within Naval Air Systems Command. The Centers are grouped into different divisions, each with a different history and location. In the 1990's, it was closed from it's original base in Pennsylvania and combined with the other test divisions at NAS Patuxent River, MD. This is the triangular version of their squadron patch that shows (what looks like to me) an F-16 Fighting Falcon and this patch does NOT have velcro attached. 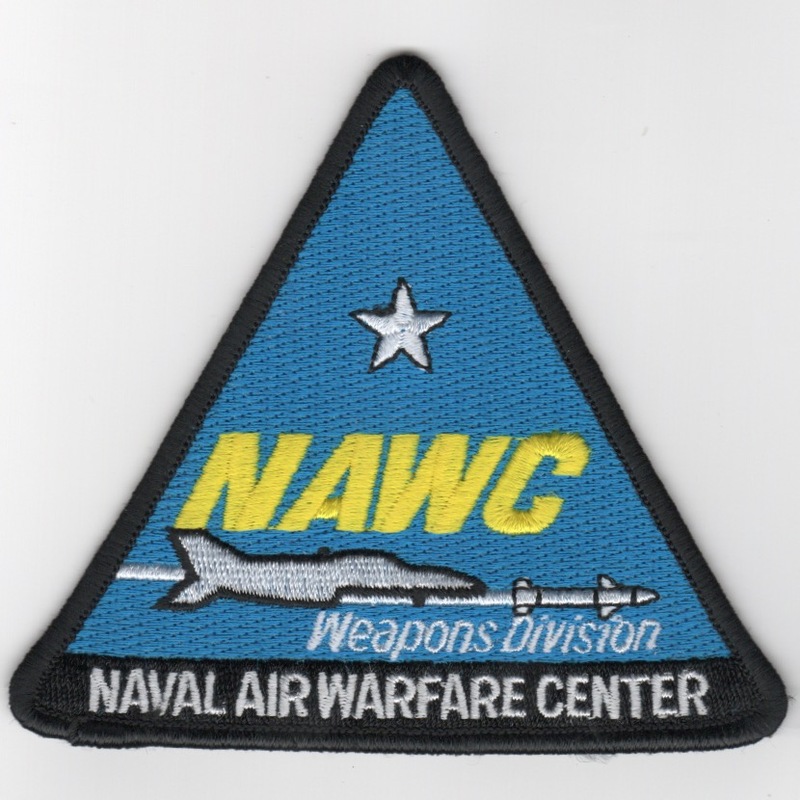 This is the "Sensor Systems" patch created for the Naval Air Weapons Center (NAWC) at NAS Pax River. It shows "test bird" loaded down with all kinds of gizmos and gadgets.